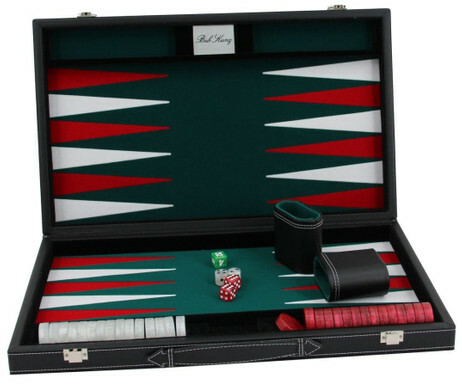 Nobly backgammon case medium of black leatherette with white stitching. The playing field is in green velvet with red and white tongues. The stones are really grippy and in red and white with pearl effect. Dimensions: 470 x 280 x 60 mm. 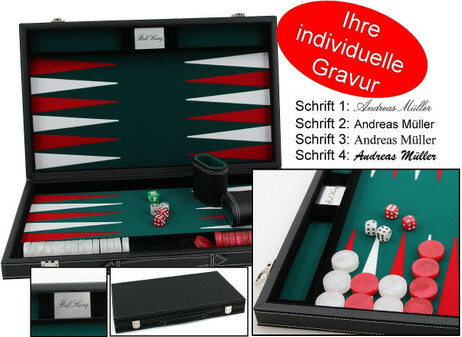 Backgammon is one of the most beautiful and oldest games in the world. 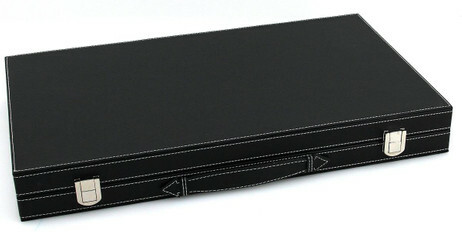 This leatherette case is by its white stitching very visually appealing. 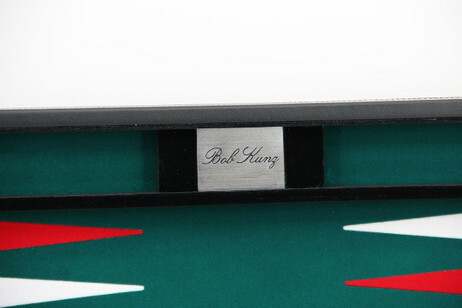 The playing field has a velvety surface that makes the pieces glide very well and gives a very pleasant feeling. The case is closed off well with metal buckles and the carrying handle and convenient for travel and travel. 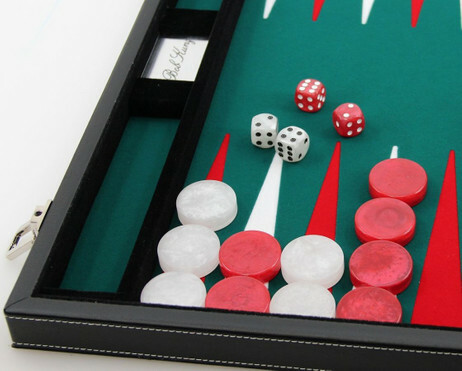 Delivered is this set including color-coordinated dices with pearl effect, with dice cup and stone shelf.